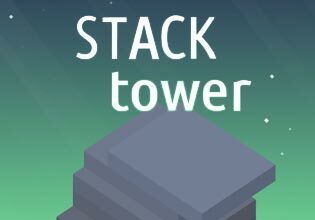 In the highly addictive arcade game Stack Tower you stack 3D blocks to a tower. The higher and the straighter you stack the blocks, the more points you earn. If you manage to place a block exactly on the one before it will not lose size. Sloppy placement on the other hand will cut off the blocks and making them smaller and smaller until it gets impossible to add more blocks.You can play Stack Tower on your own and try to unlock all achievements or you can play against your friends and try to beat them. Do you have what it takes to the Stack Tower champion? Play now for free!